Facial implants can balance the facial features and enhance facial contours. Patients can choose to turn a weak chin into a more prominent, attractive jaw line and/or give fullness to flat cheekbones. Most patients are surprised at how natural the results of the implant appear. 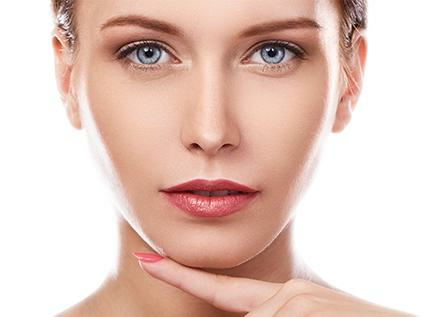 This surgery is commonly performed in combination with Rhinoplasty or facelifts. Facial plastic surgery is usually performed under local anesthesia with sedation, or under general anesthesia. Most patients recover fully within a few days. If you want to find out if you’re a good candidate for Facial Implants or to learn more about the procedure please reach out to Dr. Dreyfuss.